Just making music that sounds “country” is not enough. Just because something is real country doesn’t mean it’s real good. As alluring as the steel guitar, the twang, the cut of the fiddle and the yodel in the voice is to traditional country fans, these things in themselves are not enough to keep the music alive forever. For traditional country to survive, it must find new things to do with old sounds. It must find fresh ways to broach tired subjects. As the history of country music elongates, it becomes harder and harder to still fit in the frame of what country music is supposed to be, yet give a perspective that seems unexplored, and unencumbered by cliché. You may recognize the name Pete Schlegel, or you may not. He moved to Nashville in 2002, and for the next six years he flirted with country music stardom, releasing a few moderately-successful singles and some music videos that received play on CMT. His debut album Strong Stuff is known by a good handful of traditional country fans, and he toured with Daryle Singletary and others. To many traditional artists who struggle daily to find attention for their music, Pete Schlegel has done pretty decently. But he never got to the next level. He arrived in Nashville just a little too late for the traditional sound. A common theme of many great albums is the artist is in a place with their career where they have nothing to lose and nothing to gain, regardless of the reception for their work. They’re just making the music they want, the way they want to, with songs that speak to the patterns of their particular lives, whether anyone else wants to follow along or not. Pete Schlegel is probably not going have any more songs tickle the tail end of the Billboard charts. 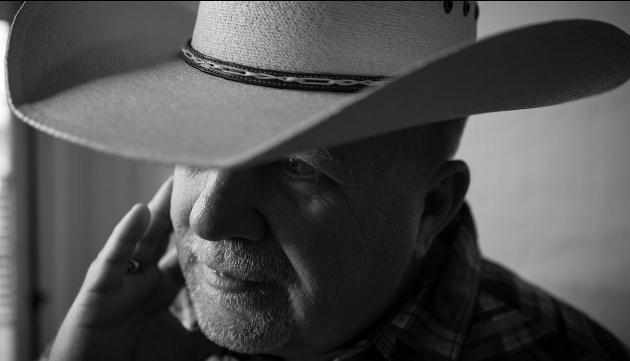 But he has some devout fans and plenty of things left to say, and he says them his way in his new album J-Town #realcountryandproud. Yes, it’s a strange name, and so is seeing a Parental Advisory sticker on the cover, though with close inspection you find out it says, “Country Advisory: Real Country.” And that’s exactly what you get on this record, yet it feels fresh, relevant, and even sometimes fun—features not always present in the “very traditional” category. This is what you get when you have quality songs, and top notch production and instrumentation. 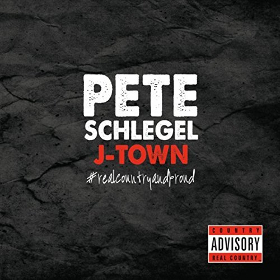 Think of Pete Schlegel and J-Town like a cross between Don Williams and Mark Chesnutt. The themes are centered around reinforcing the most important things in life like family, and how to value time and love over money. It’s refreshing to hear any music these days from a mostly adult perspective. J-Town isn’t for the kids, it’s about the kids and for the adults. Yes, most humans actually grow up and get married, and some of them even cherish their parental and adult moments as opposed to constantly harking back to high school as the alpha and the omega of their existence on the planet. The music of J-Town is strictly traditional with no wiggle room, but not just consisting of worn out Waylon half-time beats or tired guitar licks. Pete Schlegel is not a reenactor. The melodies are fresh and supple, and this album puts you in that warm, familiar place that only great country music can. J-Town has a few really strong tracks that rise above any praise for the album itself, including the opening drinking track, “I Don’t Drink Anymore.” It is one of those songs, and this is one of those albums that you immediately say, “Yes, this is what I’m looking for” as a traditional country fan. Another excellent song is the superbly-written “Money.” It works like those brilliant church sermons that are able to crack open even the most hardened heart to get the message across. Most of the time spent on J-Town has to do with family. Raised on a dairy farm and doing time as a State Trooper and EMS Helicopter Pilot, Pete Schlegel has put in that essential real world experience a seasoned songwriter needs to bring the most potent insight to his music. Schlegel wrote or co-wrote all of the 10 tracks of J-Town. And though the second half of the record drags a little bit, and the election-centric “State of Affairs” feels a little hokey and dated, this was a surprising and welcome effort by Schlegel that should be considered right beside the other great traditional country albums being released in 2017. Taking catchy, repetitive beats and laying lists of buzzwords over them to immediately attract the ear is the easy way to make music. It takes keen skill to purposely limit yourself to traditional country parameters, stick to themes that pertain to actual country people, and still make something that feels new and fresh. Pete Schlegel and J-Town prove you can be traditional, but not be tired. “Parental Advisory: Real Country”; just what I’ve been waiting to see. I’ll have to check this out soon. Pete is one of the very nicest artists you’ll ever meet. He’s as genuine as they get and bleeds real country. We filmed a TV segment together and I felt like I had known him my whole life. Great guy!!! His CD is in my truck playing right now. well executed country. He’s not exactly splitting the atom with those lyrics. Cool to listen to, though. Thanks for the review. Pat thats my thought about the lryics. Nedd to get him to the attention of the AWA guys. Who/what are the AWA guys? Pete’s sound brings to mind another fella who seems to have been almost completely ignored by Nashville . David Ball had a huge hit called ” Thinkin Problem”, of course…then resurfaced years later with ” Riding With Private Malone “….another GREAT country song in the classic storytelling tradition . David’s records are amazingly consistent in terms of song quality, performances and traditional elements and I visit them regularly for their timeless lyric quality and superb productions ….not to mention that unique one-of-a-kind vocal sound ….something too many ‘ traditionalists ‘ can’t boast of regardless of the quality of the writing and the recordings . Pete’s stuff sounds equally superb …he deserves to find a following . Love that fiddle…lukewarm on the lyrics. Thanks for drawing my attention to Pete. Just added “I Don’t Drink Anymore” on Classic Country 1190 KQQZ in St. Louis Missouri. Great Cd, great traditional country sound. I listened to Pete at a show in Florida recently and bought his cd. He is one of the few artists who sounds true to the album. Geesh, Trigger, I DON’T DRINK ANYMORE sounds an awful lot like THERE STANDS THE GLASS! Thanks, I like what I’ve heard so far. Reminds me of Weldon Henson and Will Banister. Thanks of the review, Trigger. Not bad (on listening to the two sample tracks) but I think I will continue repeat-listening to my Luke Bell album, which is so hitting the heights for me in that “country/baritone” sort of sound genre. Ordered a CD a few weeks back, and this is what the doctor ordered. It superseded my expectations by far, and the true country feel gave me goosebumps. If old country has the ability to stay alive it will be because of artists like this. I am wearing out this CD and hope to hear more in the future. Things like this keep Merle where he should be, still alive in music …. Heck yeah. Wsy to go Pete! Love that traditional sound. Excellent! New name to me but one I think I’ll be turning to a lot! Thanks for the recommendation!